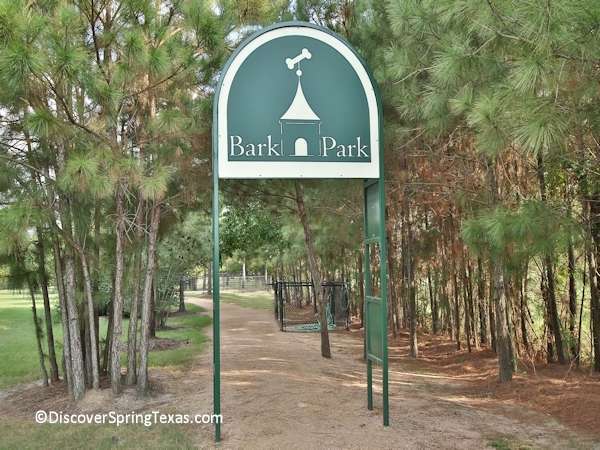 Dog lovers living in Spring Texas have been asking for off-leash dog parks for many years. Now, finally their voices have been heard and their requests answered as Harris County Precinct 4 opened its first dog parks in 2012. The new public off-leash dog parks are located at 4129 Spring Creek Dr Spring Texas at Pundt Park, 9738 Hufsmith Road Tomball Texas at Burroughs Park, and 16119 Stuebner Airline Rd Spring Texas at Meyer Park. Public off-leash dog parks: In honor of the pets of former president George H.W. Bush and First Lady Barbara Bush, the dog park at Pundt Park has been named Bibi and Mini-Me Bush Dog Park. The dog park encompasses 4 acres with 1 acre set aside for small dogs. The dog park is shaded and features watering stations, water features, trails, and wash areas. The dog park at Burroughs Park is a 5 acre park off-leash park with separate areas for large and small dogs. The park has similar features as the Bibi and Mini-Me Bush Dog Park. The dog park at Meyer Park is a 7 acre off-leash dog park with separate areas for small dogs (25 lbs and under) and large dogs. The park has a half-mile jogging path around a small lake, washing stations, trails, and benches. Public parks: Meyer Park, a 286 acre facility known for its 26 soccer fields, has numerous paved trails and nature trails for you and your dog to explore. Private off-leash dog parks: Gleannloch Farms, the Woodlands, and The Falls at Imperial Oaks have facilities inside their respective subdivisions available for the exclusive use of their residents dogs. 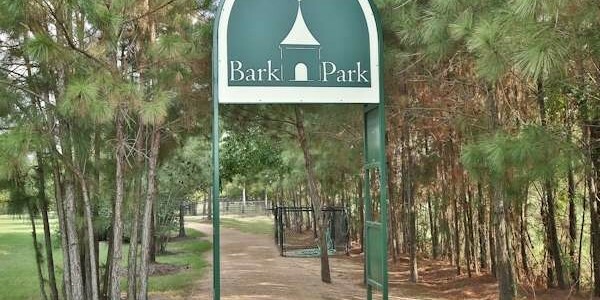 Located in the Huntwick subdivision is a private off-leash dog park available to the residents of Harris County WCID # 116.